Sports Therapy includes a detailed examination and diagnosis of your injury, by using a variety of treatments and rehabilitation, I help you become pain free as quickly as possible. I am a now a fully qualified and registered Sports Therapist based in Plymouth. As a Sports Therapist I am experienced in helping clients recover from a multitude of different pains and injuries, it is a sports therapists role to will help you reach your goal of being pain-free and more importantly helping you stay that way. A Sports Therapist understands how pain works, combining the most recent techniques and research, to create a comprehensive therapy approach to not just mask or relieve your pain short term, but to effectively treat it and help prevent its return. 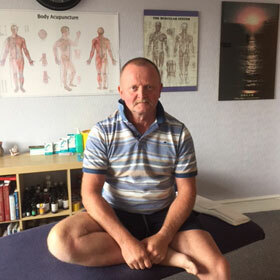 Whether you are suffering from chronic neck or back pain, a general ache or pain or an acute injury sustained while competing at any level of sport, as a Sports Therapist I can help to get you performing at your best, injury and pain free. Once your diagnosis is complete I will create your personal recovery programme and you will receive information and education to help you understand how pain works. We undertake thorough assessments to help identify your personal causes and triggers of the pain and work to resolve these. A comprehensive treatment programme follows the most up-to-date pain research and integrates all the components necessary for you to fully recover. As a Sports Therapist I don't want to just alleviate your pain short-term, or maintain your symptoms my aim to empower you to stay pain-free under your own steam.